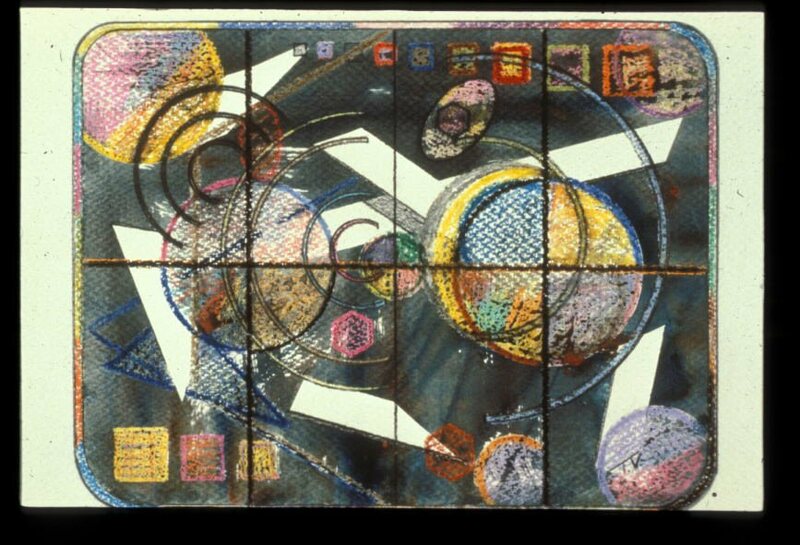 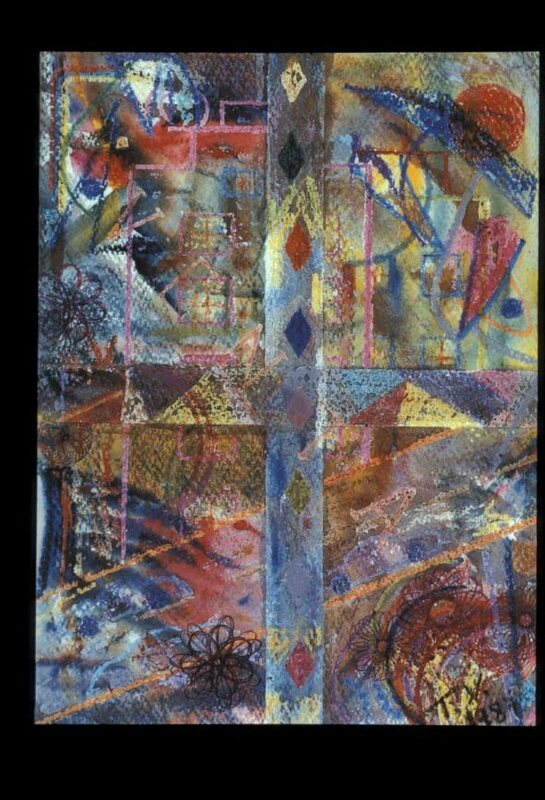 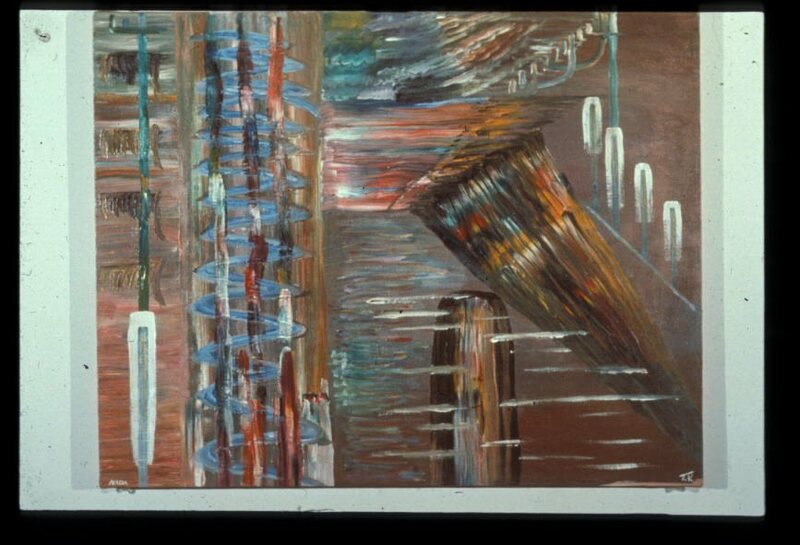 Out of the Blue, 1990, watercolor, crayon and pencil, 10 3/4 x 7 5/8"
Dreamscape, 1989, watercolor, crayon and pencil, 11 3/4 x 18 3/4"
Falling into Place, 1989, watercolor, crayon and pencil, 18 1/4 x 11 3/4"
Snarled in Space, 1988, watercolor, crayon and pencil, 9 x 11 3/4"
Looking for Miró, 1987, watercolor and crayon, 10 3/4 x 8"
Nada, 1979, oil on canvas, 22 x 28"
Flashpoints, 1988, watercolor, crayon and pencil, 9 1/2 x 6"
Cometa Azul, 1986, watercolor, 27 x 22.5 cm. 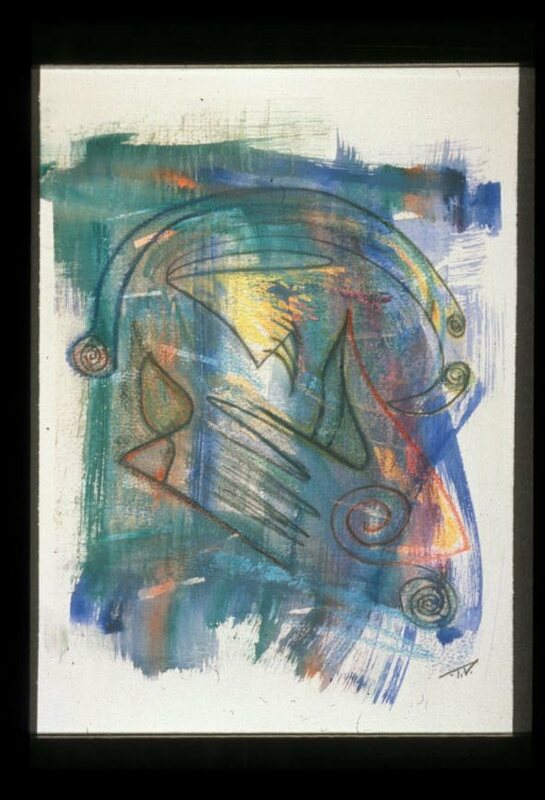 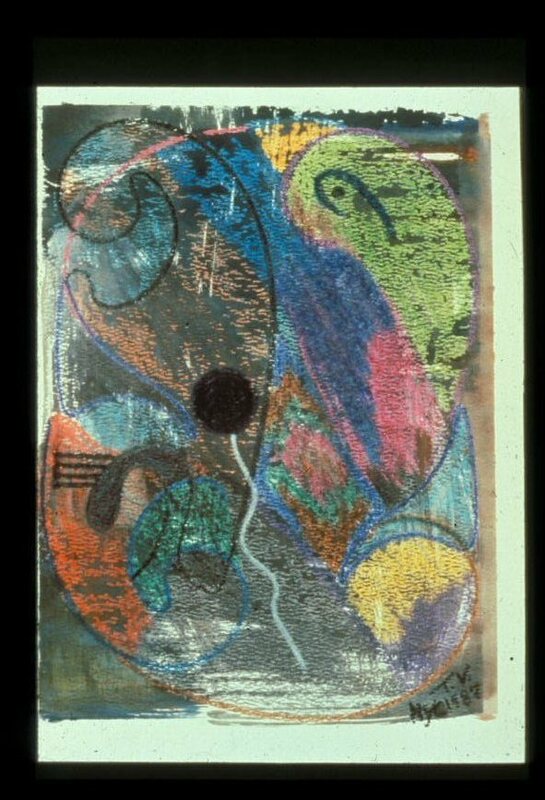 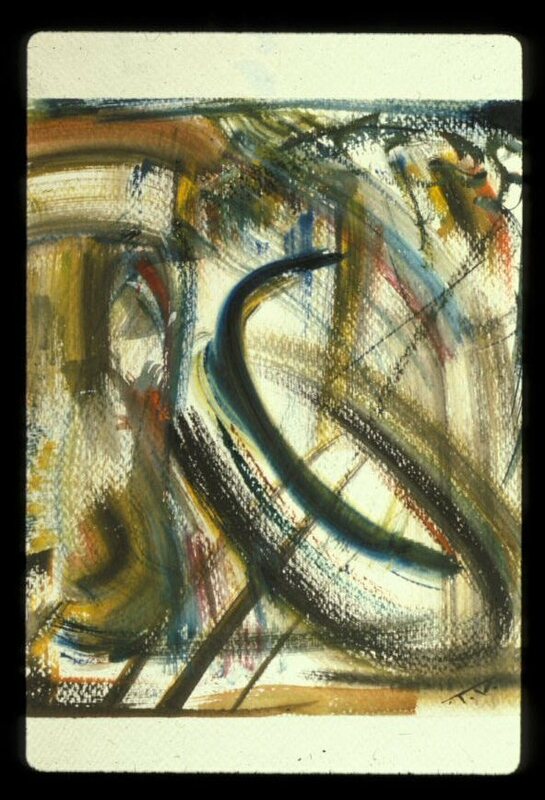 Ventana I, 1987, watercolor, crayon and ballpoint, 46 x 30.5 cm. 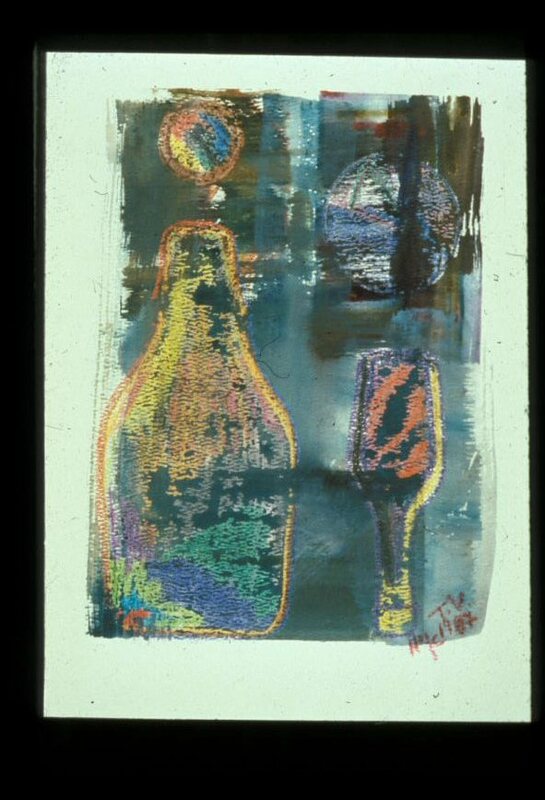 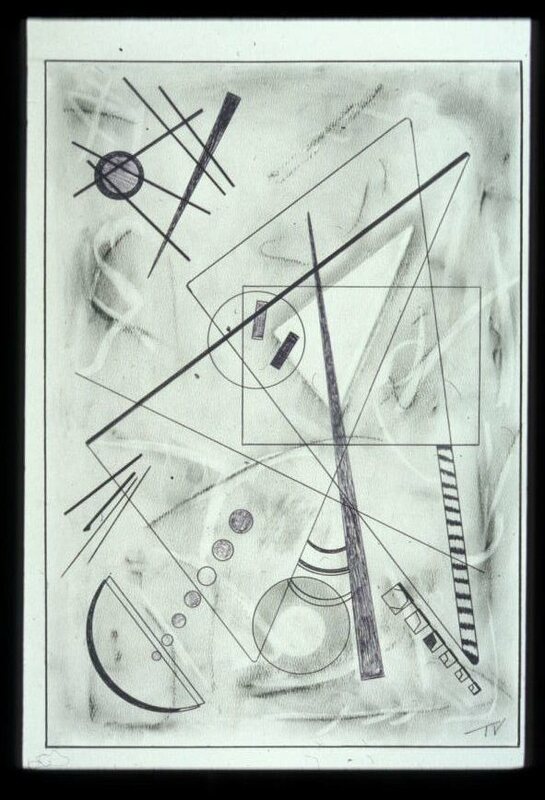 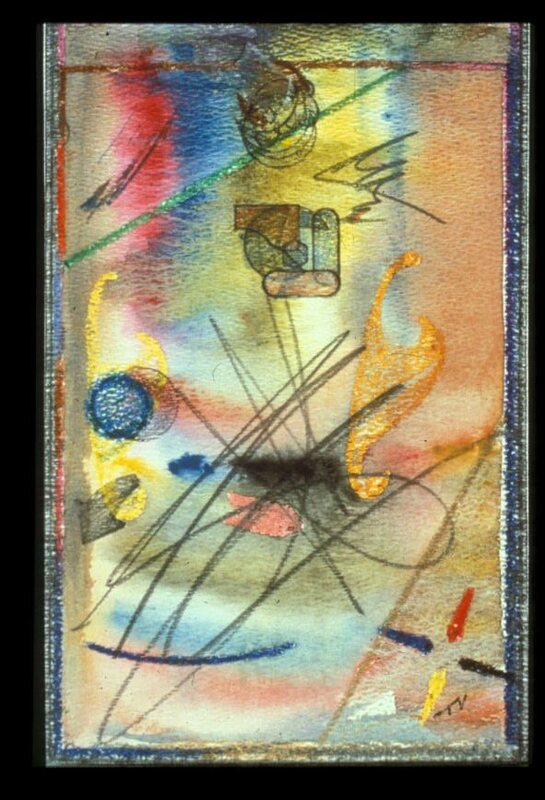 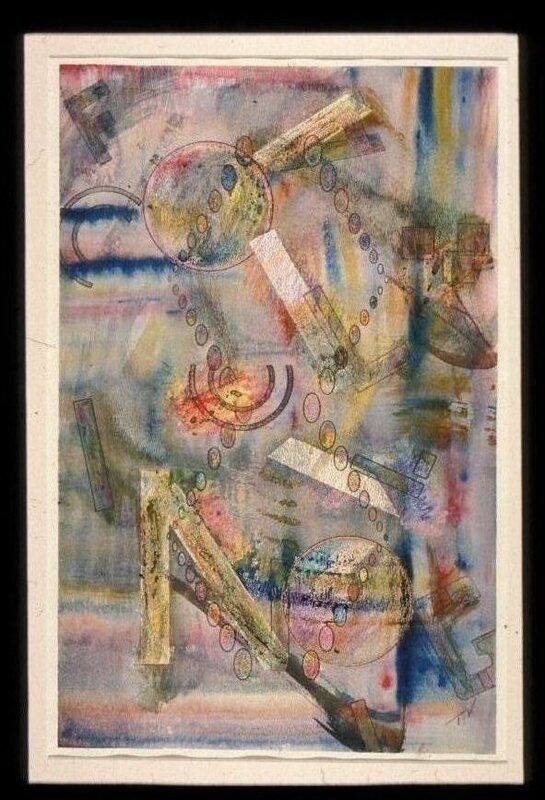 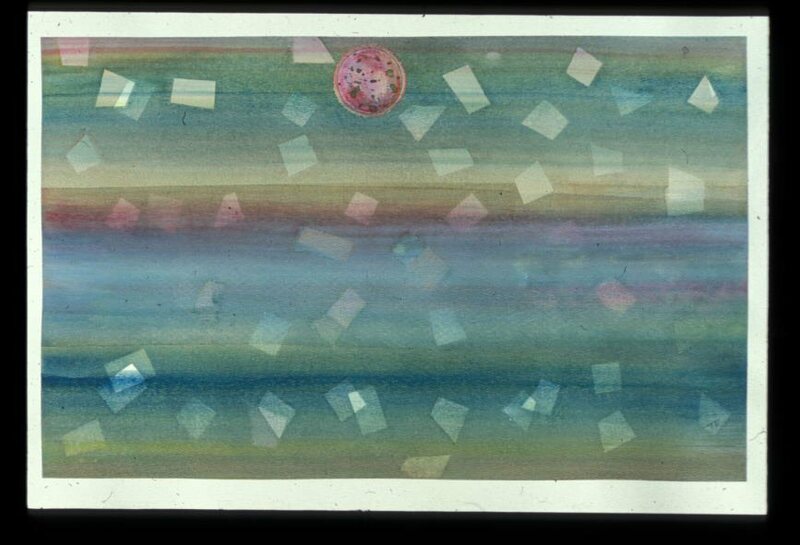 Liquor Bottles at Twilight, 1987, watercolor and crayon, 10 x 7 1/4"
Transparent Dream for K., 2001, ballpoint pen and pastel, 17 1/2 x 12"